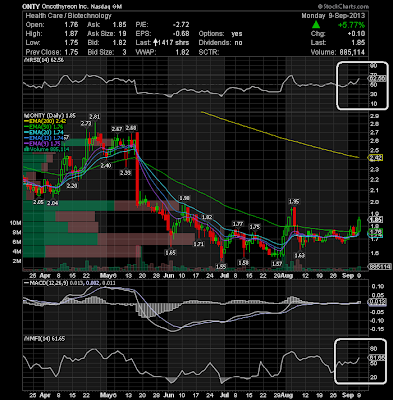 Oncothyreon Inc (USA) (NASDAQ:ONTY) is a stock I've covered before. 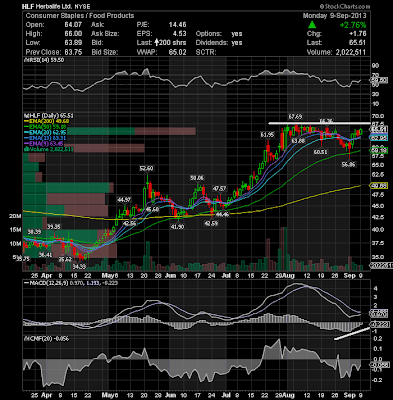 The stock has been consolidating until today, when it broke out above 1.80 (major resistance) on volume well above the daily average. From the technical chart, MACD shows positive strength and MFI indicator shows strong demand. I would not be surprised if this stock goes to 2 or 2.1 by Friday. Looking at the insider trading, we see two BIG recent acquisition of 250.000 shares in August. 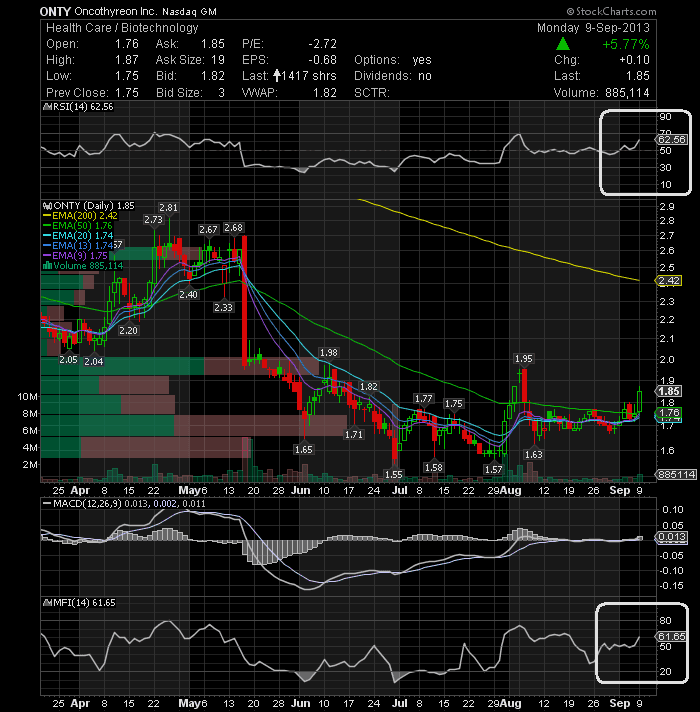 This should be an indication that insiders are seeing something positive going on. 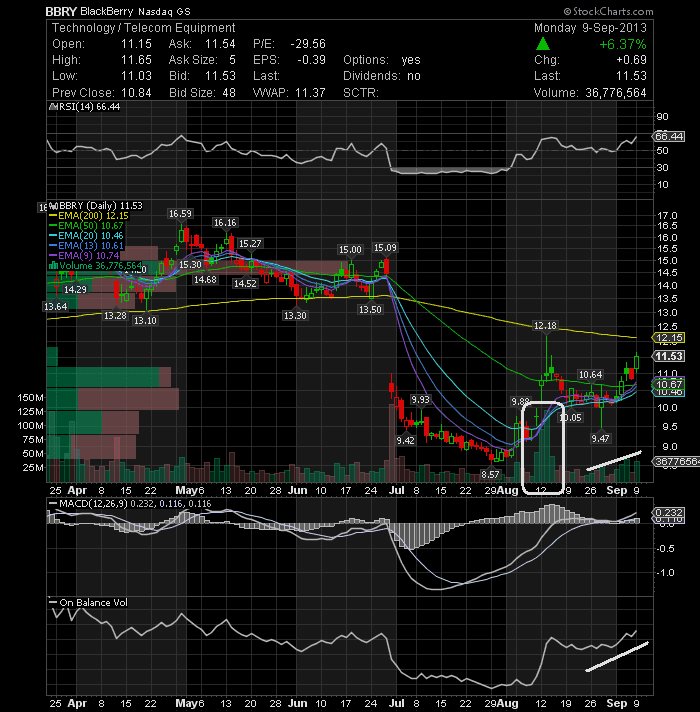 BlackBerry Ltd (NASDAQ:BBRY) is starting to show signs of accumulation with high upside days and low downside days, watch $12.15 for a breakout. 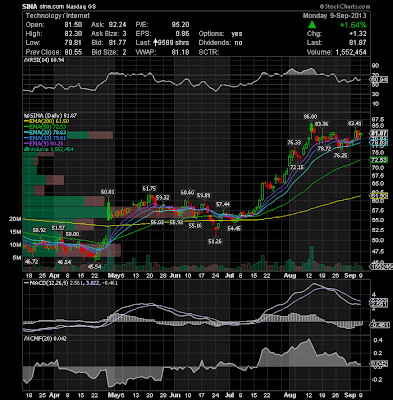 The technical indicators RSI and MACD all point to upward trend. Looking at the technical chart, we can see that the stock has found a strong support level around the $14-14.1 range, on its 200-day exponential moving average. 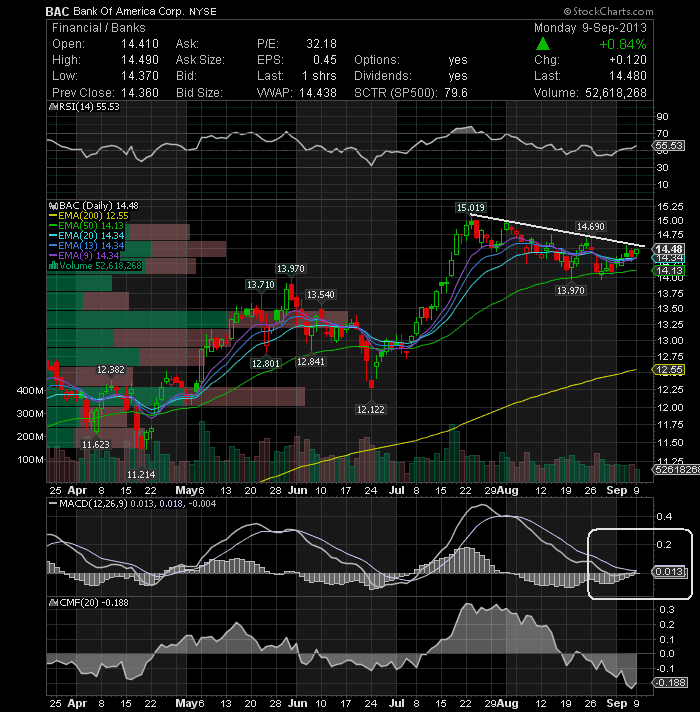 Bank of America Corp (NYSE:BAC) will trigger a "long" entry on a break above the downtrend line on the daily chart above. 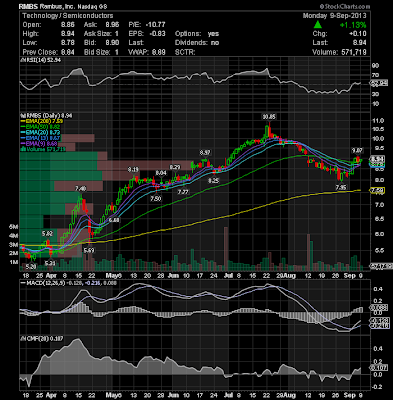 Himax Technologies, Inc. (NASDAQ:HIMX) closed above the break out point again, but pulled back from the highs on the day. 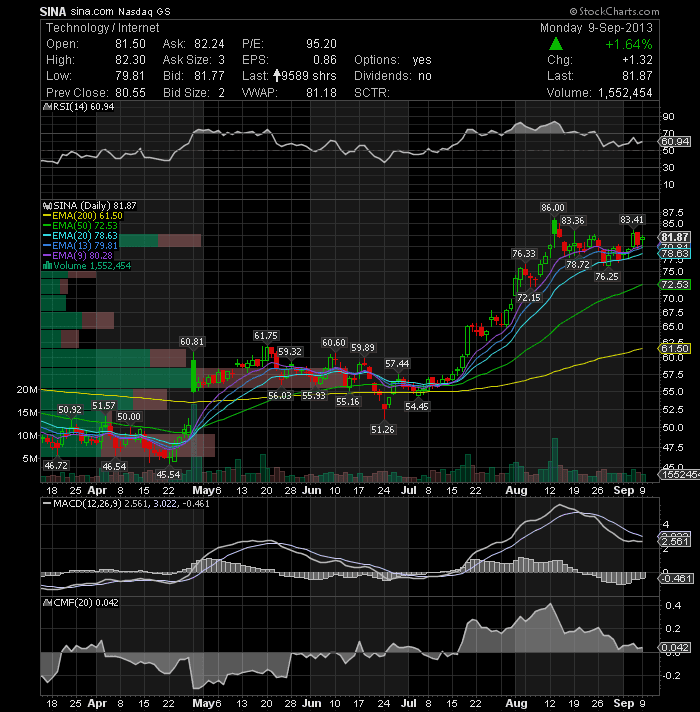 In my opinion, the stock may need some more rest around this levels before really being able to move. 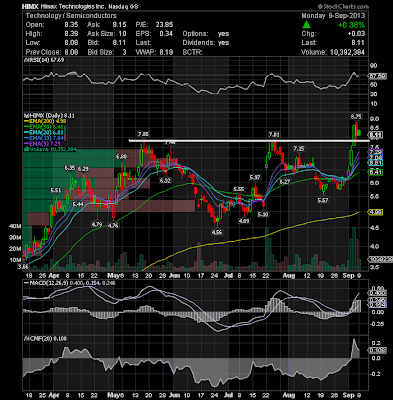 Rambus Inc. (NASDAQ:RMBS) is approaching again the $9 level, which typically acts as resistance. 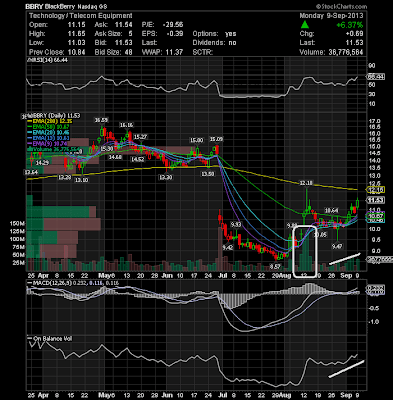 Although the stock price has been in weak market for the past few weeks, recent surges shows the stock is back on uptrend on rising RSI and MACD. 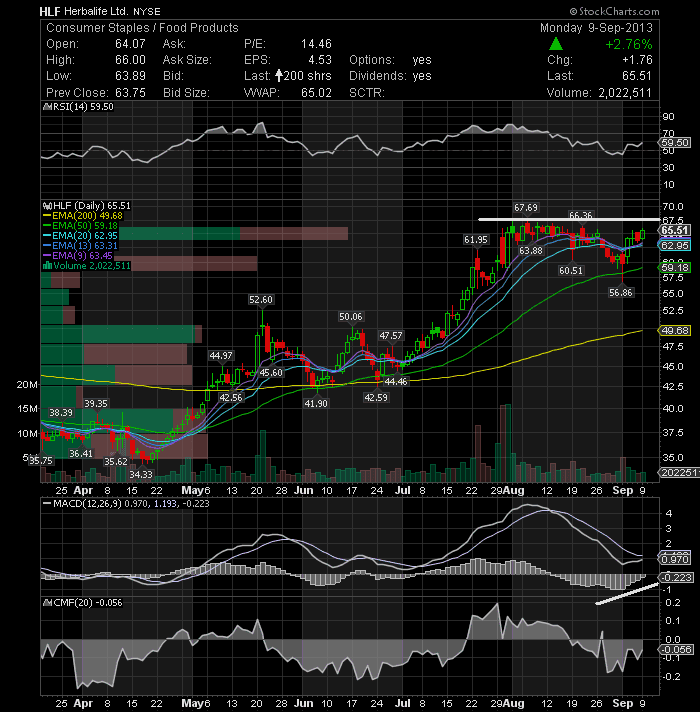 So keep an eye on her for a possible breakout. 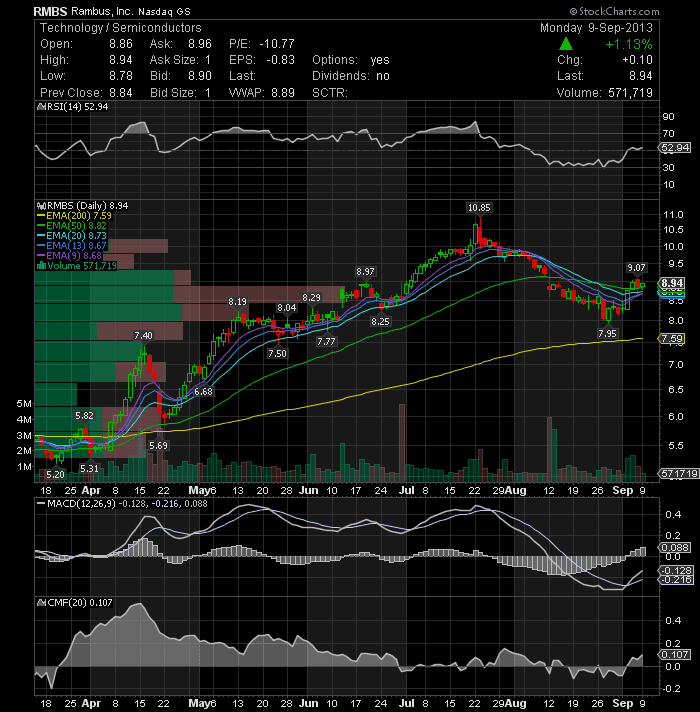 SINA Corp (NASDAQ:SINA) is holding up well above its short-term EMAs and looks ready to move higher from here. 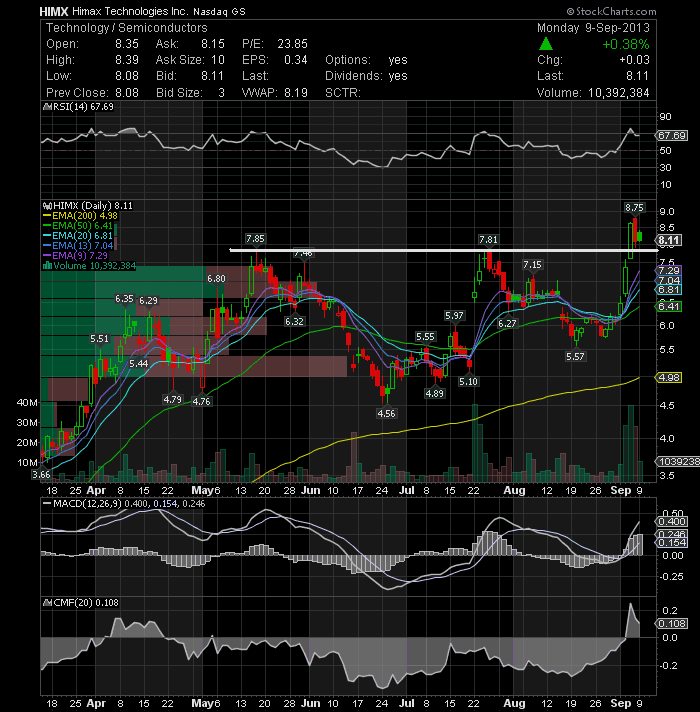 SINA is worth watching for a long entry if it breaks over 83.41.